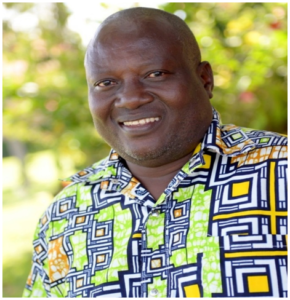 We welcome Athanase HABIMANA, founder of the Union of Baptist churches in Congo, who has established the city of Masisi in D.R. 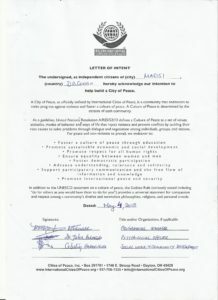 Congo as an International City of Peace. Their main vision is to increase inclusion of education into peace building and conflict reduction policies, analyses and implementation. Masisi territory is a territory located within the North Kivu Province of the Democratic Republic of Congo. 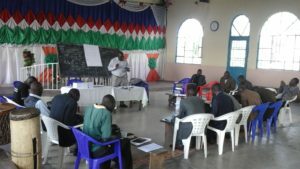 Its political headquarters are located in the town of Masisi. 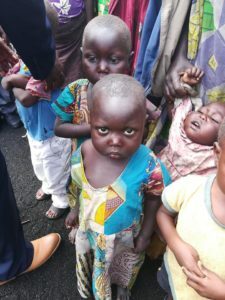 Masisi territory has been constantly been subjected to the conflict between the Congolese army and military which has plagued the eastern DRcongo since the ending of the second Congo war. 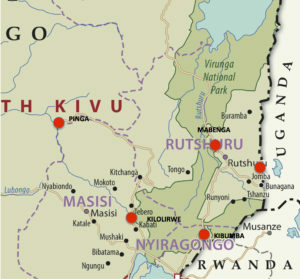 Hutu and Tutsi military originating from the Rwandan Genocide and the Congolese civil war, and Mai-Mai groups, are involved in these episodes of conflict, which also relates to Rwandan border security and the control of eastern Congo’s minerals by rebel groups and business interests. Armed groups have systematically targeted the civilian population. The insecurity has also led many children not to access school and in returner join the rebels groups. – Increase inclusion of education into peace building and conflict reduction policies, analyses and implementation. 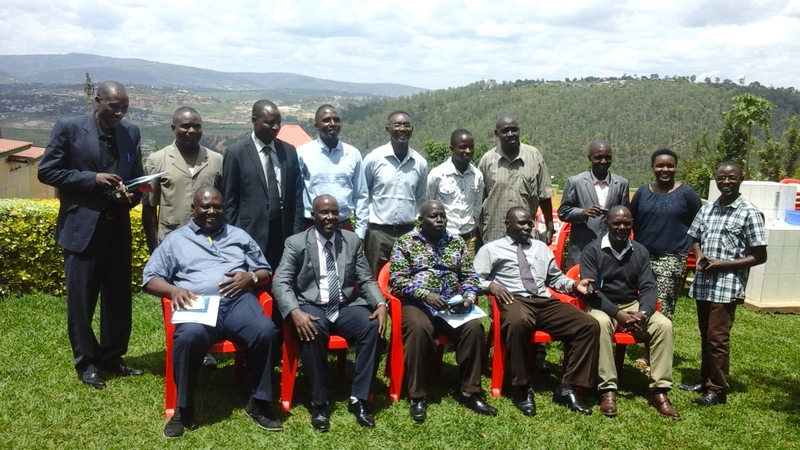 – Increase institutional capacities to support conflicts sensitive and peace building. – Increase access to quality, relevant, conflict sensitive education that contributes to peace. 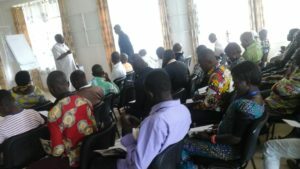 – Bring prosperity, security justice and hope through peace building. My name is Athanase HABIMANA, the founder of the Union of Baptist churches in Congo. I was born at Butumbalonge village, Masisi Territory, North Kivu Province in 1957 into a pagan family that was heavily involved in idolatry, ancestral worship, and other traditional heathen practices. In 1970, my father passed away, leaving behind my mother and the rest of the family going on practicing their heathen religious activities. During this time, I was far from God and led a life that reflected the distance. During this time that I was convicted about my own sin. A reading of Romans 3:23 transformed my life. That day, I accepted Jesus Christ as my own Lord and Savior. In 1985, I accepted the call to serve God as deacon and shortly thereafter, as the pastor of my church. 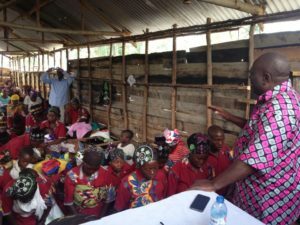 God has been using me from that time on as His servant in several different ministries– such as church planting, preaching, discipleship, translating the gospel, evangelism, and Peace building Ministry. I am glad to be God’s instrument and ambassador in my country and ready to be one wherever He wants to send me. I am married to Rachel, who was born into a Christian family in 1982. She grew up watching her parents’ godly example and attended Sunday school and church. She was taught about the ministry of Jesus – how he came to earth to die on the cross for our sins – and many stories from the Bible. At ten years of age, she decided to receive Jesus Christ as her Lord and Savior because of all the things she had learned. Rachel became committed to God’s ministry – first serving as a choir member, and then later, in positions of greater commitment. She now works as a children’s Sunday school teacher, and is actively involved in an orphan outreach ministry. I and Rachel have 7 children (four boys and three girls), and 3 orphans living with us. Masisi is a town in the North Kivu Province of the Democratic Republic of the Congo (DRC). It is the administrative center of the Masisi Territory. The location of Masisi lies approximately 69 kilometres (43 mi), by road, northwest of the provincial capital of Goma. The town lies at an average altitude of 1,600 metres (5,200 ft), in the foothills of the Virunga Mountains. Masisi is the location of a number of cheese factories. Most of the cheese produced in the Democratic Republic of the Congo comes from Masisi Territory. During the last decade, Masisi and the surrounding countryside has witnessed strife and conflict as the many militias in this part of the country fought each other and against FARDC and MONUC, for territory and wealth. Many have either been killed or permanently disabled, with more carrying residual psychological trauma. As of 2010, the population of Masisi is 6,502 people.